Hey guys! 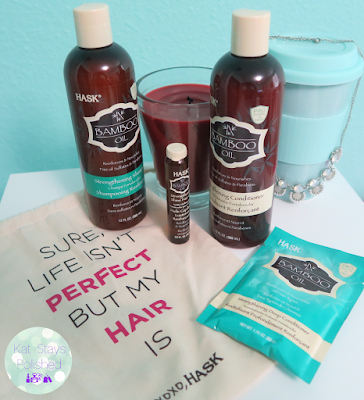 Today I'm here to talk about another brand that I love - Hask! They have a line of Bamboo Oil products out that's simply amazing. I am such a fan of their Keratin products and Argan oil products that I just had to try these out! 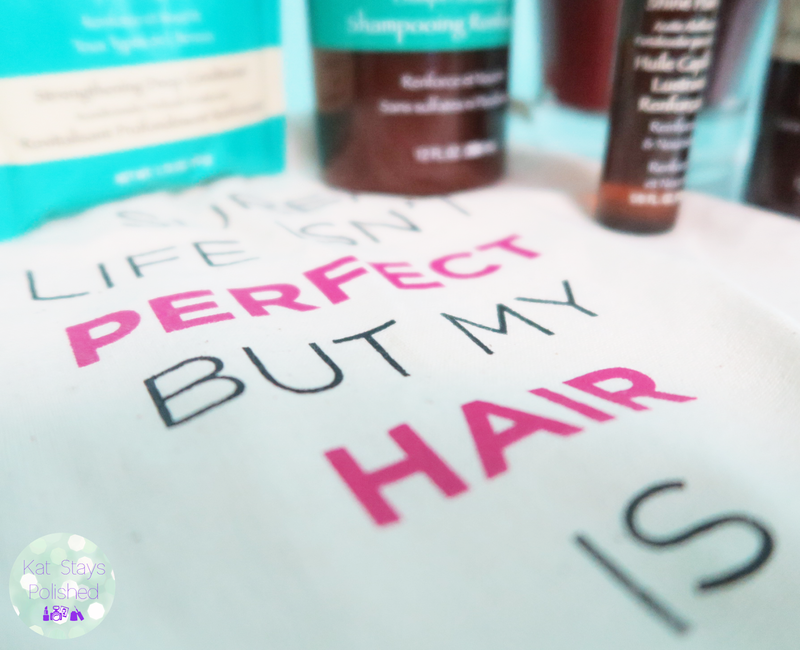 Hask sent me the cutest package with all of these products in a bag that says, "Sure, life isn't perfect but my hair is!" I definitely feel like my hair is pretty on point after using their products together. My favorite part is their hair mask. Now that I have shorter hair, I can get one extra use out of the packet. Even with my long hair, that packet was enough for 2 applications. 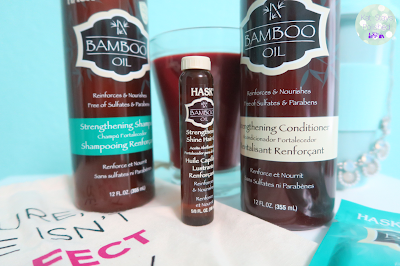 I love the scent of the bamboo oil line - it makes me feel like I'm in a spa. It's got a mild woodsy, rainforest, spice feel to it - definitely hard to describe but it is mellow enough for those who are sensitive to strong smells. All of their product rinse clean with no residue, including the mask. I love using the matching oils right after I get out of the shower. My hair needs it and after it air dries, my hair is so soft and smells amazing! Have you ever used Hask products? I love that they are pretty affordable and actually do something good for my hair. 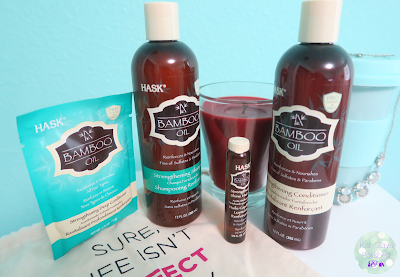 If you've already tried the bamboo oil line, let me know how you liked it! 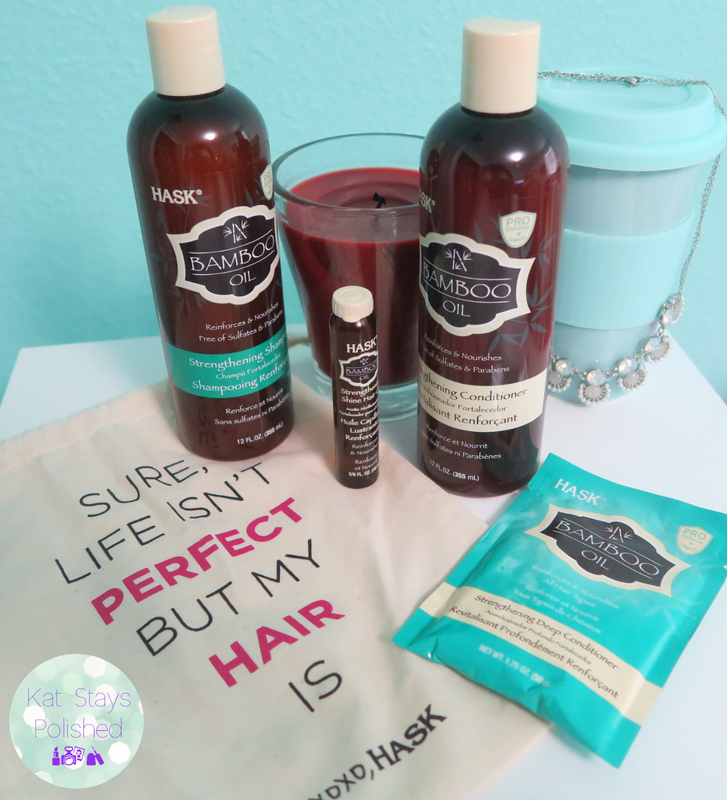 Hask is my go to drugstore hair care brand. I love them all!! I haven't seen this brand before. I'm going to look for them now! I haven't tried this line before. They sound nice! I've simply got to try this line--so many good reviews! I've heard great things about the line but the fragrance wouldn't work for me unfortunately. Never tried this brand but I heard it's good! Take care of your hair and you'll always be pretty with your hair like from the expensive spa saloon. Come to paper writing service be wanderful.